But wait! You’re supposed to be finishing your thesis! Why are you going for bike rides and seeing your friends?!?!? Well, I must confess, the photos in my last post were taken over quite a long period. I ration the fun times and mostly I sit staring at Word documents. 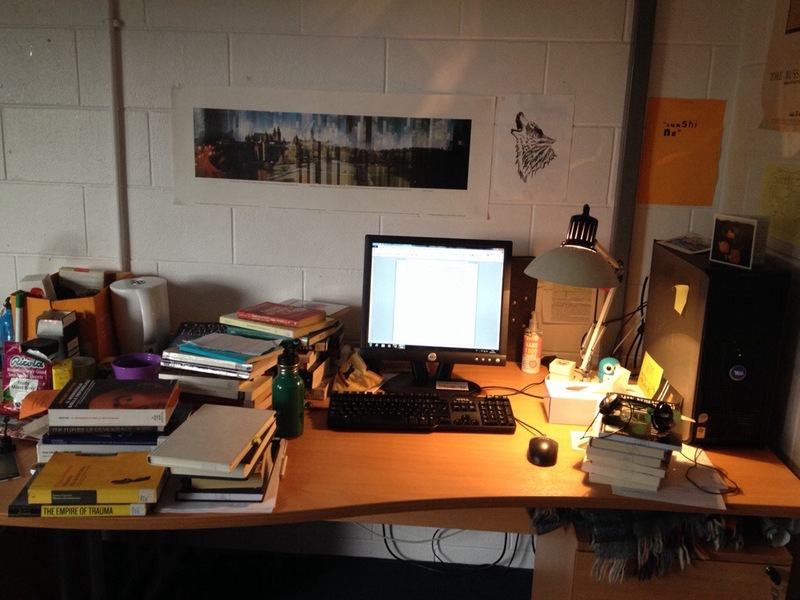 Imagine me sitting at this desk: that is my life most of the time. Can you see the blanket you gave me? I have amassed rather a lot of books. I need them for my work, obviously, but I quite like having them around too. Their presence is strangely reassuring. The last time I went to the library, I took some pictures for you. 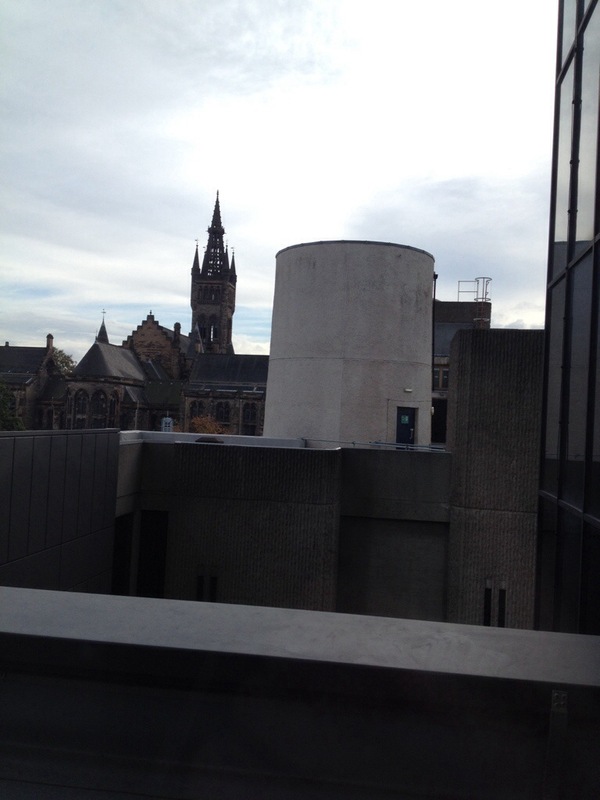 I like the odd views that you get when you look out of the library windows. The angular, functional architecture that you glimpse as you walk down the stairs is quite different from the famous images of the University of Glasgow. 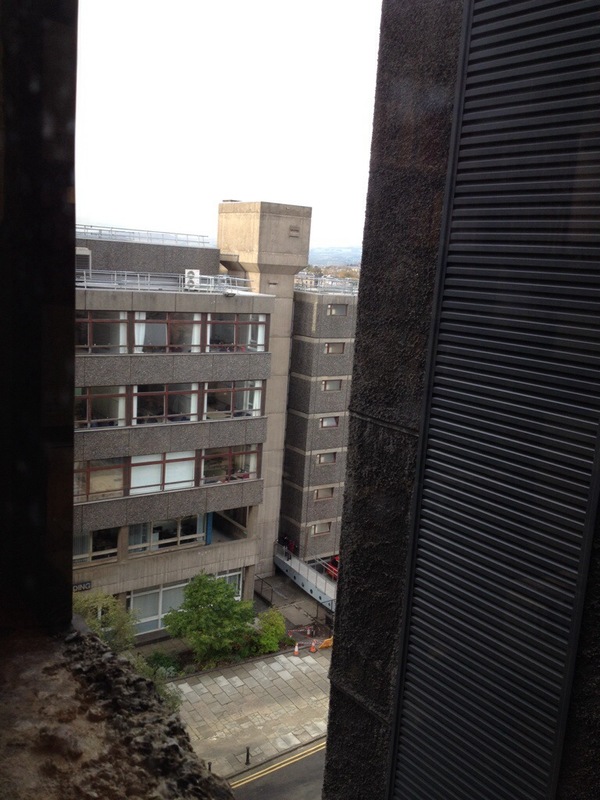 Although you can spy that from the library too. 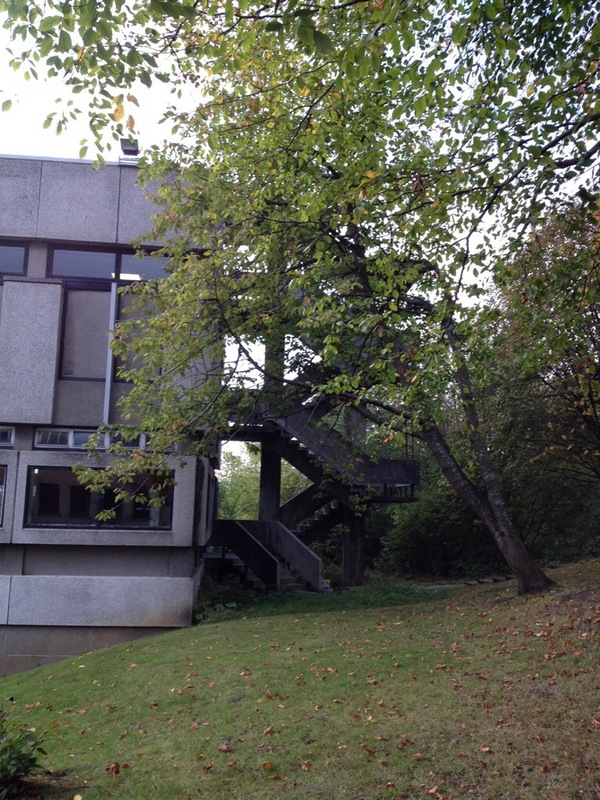 I love all the brutal, modern parts of the university and that you can catch sight of them as you walk around, as long as you’re looking in the right places. But what about the books?! I found myself on a floor with science books on it; not my usual hangout. 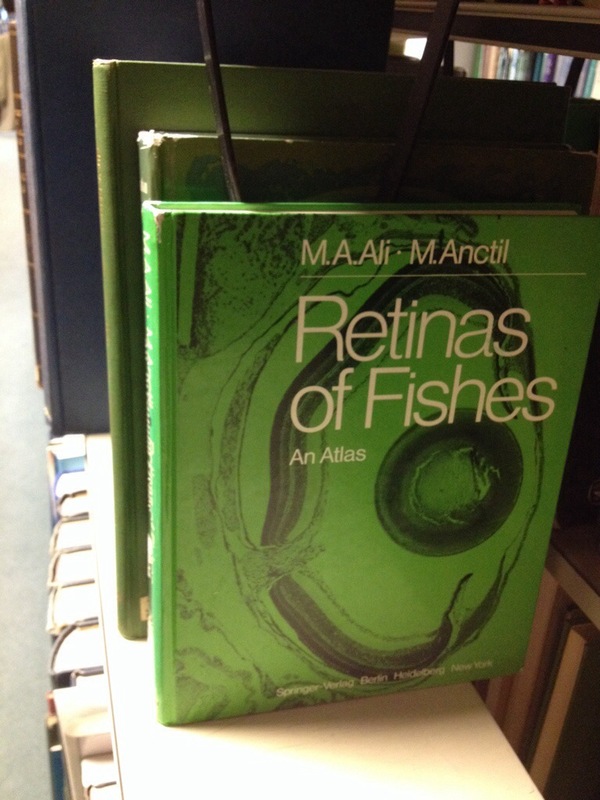 This book in particular caught my eye (pun very much intended). So, there’s a wee idea of what else I’ve been up to!